I'm still catching up after our Garden Tour and I'm overcome with the wonderful experience. Gardeners are the best!!!! Today the kickoff weekend to Summer and Sweetheart and I are enjoying a quiet weekend at home. 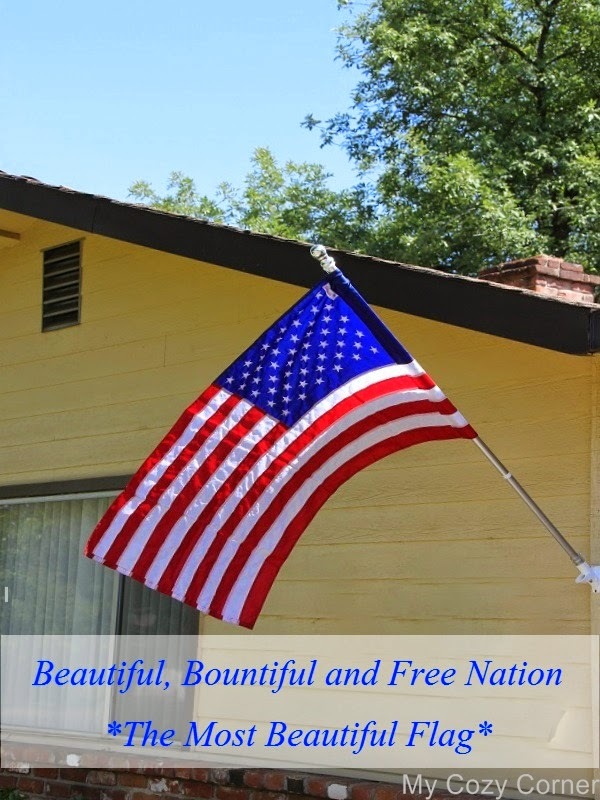 We bought a new flag to hang in the front of our house. 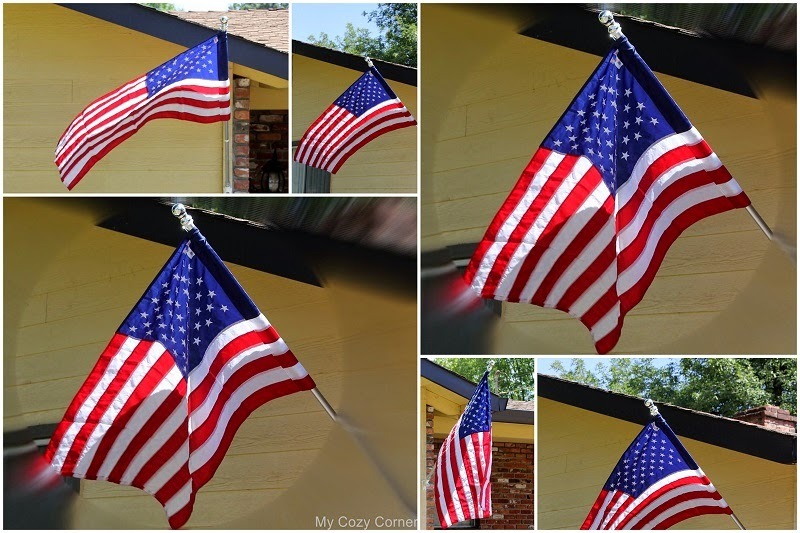 As you will see in this post I love our flag. Our new flag flying in the wind. Thanks for visiting and have a safe weekend. Old Glory is indeed, beautiful. Isn't Colonial Williamsburg wonderful? I want to go back! Happy Memorial Day Weekend! The flag looks beautiful.. Enjoy your week ahead! There's nothing like a fresh, crisp and brightly new flag flying under a blue sky!